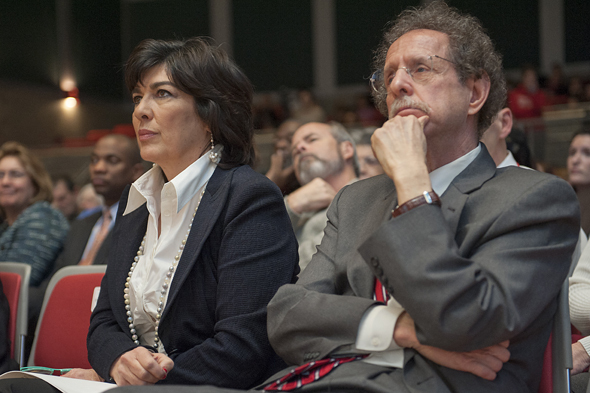 Pioneers Stony Brook’s Howard Schneider, seen here with Christiane Amanpour, developed the first news-literacy course after realizing how confused and misinformed students were about journalism and its role in society. (Wasim Ahmad / Stony Brook). This piece was funded by the Robert R. Mccormick foundation as part of the 2014 National News Literacy Summit. “That class haunts me,” says Schneider, a former editor at Newsday. It also shaped his proposal for the new journalism school. At the time, Bowling Alone, Robert Putnam’s 2000 treatise on the decline of civic engagement in America, had helped spur a national debate about the future of democracy and what our young people needed to be effective citizens. Schneider was convinced that a modern journalism school could no longer teach only journalism; it needed to reinvent itself as the purveyor of a core competency for the entire student body: the ability to be savvy and critical consumers of news and information. He oversaw the creation of a 15-week “news-literacy” class, open to all students at Stony Brook, and a movement was born. In 2006, the John S. and James L. Knight Foundation gave Stony Brook $1.7 million to enroll 10,000 students in the course—the university hit that mark this fall. In the decade since, Schneider’s vision has inspired similar programs in schools and communities around the country*[Correction appended, 9/8/14]. Stony Brook launched a summer institute to teach news literacy to educators and has collaborated on programs in Bhutan, Hong Kong, Australia, Vietnam, and China. Meanwhile, the need for news literacy has only grown. 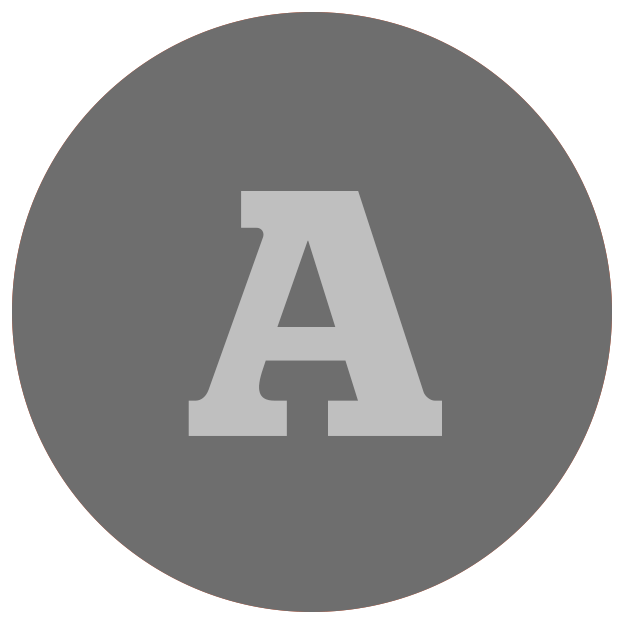 Where the movement once worried about blogs, left-right bias, and how to decode the front page of a newspaper, it now confronts a booming content-marketing business that is cranking out native advertising, all manner of “sponsored content,” and glossy magazines and slick docu-ads produced by corporations that look and sound a lot like journalism. “Contributor networks,” in which “experts” and others self-publish for little or no money and without even a cursory edit, are sprouting like barnacles on the hulls of legacy news brands. Hoaxes and plagiarism are disturbingly common, factchecking has been turned over to the digital mob, and Facebook is considered a major news source. News literacy’s mission—to help give people the critical-thinking skills necessary to discern what is trustworthy in this churning informational stew—is crucial. It can also, at times, feel impossible. When the activists, philanthropists, and academics gather in Chicago in September for the National News Literacy Summit, they will rightly celebrate all that has been accomplished. But they also will be wrestling with two big, complicated, and interrelated questions that are central to the movement’s future: First, how can they reach a critical mass of people? To date, thousands of students and others have had news-literacy training, but that’s nowhere near the numbers it will take to shore up the “demand” side of the news business. And second, even if they can reach enough people, is news-literacy education capable of creating the kind of engaged, critical consumers that our democracy needs? The scant evidence available so far isn’t conclusive, but it also isn’t very encouraging. News literacy—a field pioneered by journalists rather than theorists or psychometricians—is still a young discipline that needs time to accumulate a body of evidence for its efficacy. But rightly or not, defining its goals in terms that are clearly measurable is integral to its effort to sell itself as an indespensable part of the nation’s education system. There have been two major waves of assessment at Stony Brook since 2008, and additional research is ongoing. The course had at least a short-term influence on students’ attitudes about the media and democracy. Data from the second wave show that, at the start of the semester, 72 percent of news-literacy students believed that a free press is important for democracy, 93 percent believed it at the end of the course, and 85 percent still believed it a year later. Meanwhile, no more than two-thirds of the control group agreed with the statement at any point. On the whole, news-literacy students were more likely to say they registered to vote since they enrolled in the class, more likely to report a positive view of media, and more likely to say they consumed news from a variety of sources—but these effects also seemed to fade a year or so after the course. The data also come from self-reported survey questions, the reliability of which is debatable. Maybe news literacy students are more likely to report that they critically evaluate news because they’ve been taught that that’s what’s expected of them, even if they don’t actually do it. When analysts at Stony Brook tried to go beyond self-reported data by testing students’ news-literacy skills, the differences between the news-literacy students and the control group were less clear-cut. Students were given sample news stories and asked to rate them on fairness and the strength of evidence presented. What the students didn’t know was that they were randomly assigned one of two versions of each story. The stories were identical except for one critical detail—the credentials of a source, for instance. The differences between the groups were negligible. The creators of the study suggest that the questions may have been too easy to differentiate between the two groups. In other words, maybe any undergraduate education bolsters critical thinking enough that students get that an academic expert is, all else being equal, a more credible source on the likely effects of a methadone clinic than a random neighborhood resident. Dean Miller, who runs Stony Brook’s Center for News Literacy, says that learning how to measure transferrable critical-thinking skills is the movement’s “Holy Grail.” Students may get better at certain critical-thinking skills in a news-literacy class, but then the question becomes: Better compared to what? Does a course on news literacy move the needle as much as, or more than, a traditional civics course, or a philosophy course on critical thinking? Nobody knows. Miller hopes to enshrine self-evaluation as a core part of news literacy by continually testing each program’s effectiveness and fine-tuning teaching methods based on those results. The idea is that through careful self-evaluation, the movement will, in effect, teach itself how best to teach its subject matter as it moves forward. In 2013, the McCormick Foundation supported work led by Stephanie Craft, then a journalism professor at the University of Missouri, to create a news-literacy assessment tool for teens. The scale her team devised is rooted in media literacy, a more established academic discipline that takes a much broader view of media than news literacy, which focuses on journalism. So, for instance, Craft’s scale doesn’t measure how well students can analyze the sourcing of a news story, or whether they can sort verified from unverified claims. It is a series of multiple-choice questions that measure three things: a teen’s “need for cognition” (meaning the extent to which she is disposed to think critically and seek out intellectual challenges); her sense of being in control of the media she consumes; and her score on a quiz about the news industry. Craft found that teens who scored high on this scale have a better grasp of current events than those with lower scores. The scale has a couple of potential problems. First, “need for cognition” is a personality trait that may or may not correlate with news literacy. Someone who has a high need for cognition isn’t necessarily thinking critically or deeply about the news. What’s more, if news literacy is a set of teachable skills, it might be counterproductive to define it in terms of a trait that is very difficult, if not impossible, to modify. Second, when it comes to news literacy, confidence may not be a reliable indicator of competence. The scale assumes that someone who is more confident in her ability to be well-informed is, by definition, more media-literate. But it’s also possible that a more media-literate person could be less confident about her ability to get the facts because she is more aware of the many shortcomings of the media. What’s unclear is whether education can change people’s news habits and values over the long term. It’s not surprising that many of the effects of news-literacy education fade over time; the effects of most forms of education fade over time if they’re not reinforced. But if the goal is to create critical news consumers for life, it seems too much to ask of a single university course. Diana Hess, senior vice president of the Spencer Foundation and an adviser to the McCormick Foundation on news literacy, says that teaching civic engagement has the exact same problem. With civic engagement, as with news literacy, there are few rigorous, evidence-based metrics for measuring the quality of engagement that is generated by the training, such as peoples’ skill at evaluating policy debates, or their ability to identify political propaganda. The other significant barrier for news-literacy evaluation, Hess notes, is that not everyone uses the same tools to measure progress. She thinks funders need to invest more in creating these tools and insist that everyone use them, so that the evidence base grows with the discipline. Charlotte Grimes, a retired professor of political journalism who taught a news-literacy course modeled on Stony Brook’s, would like to see it begin as early as the 6th grade. By the time students get to college, she says, their biases were so deeply ingrained that it was hard to get them to examine media dispassionately. “They will fight you on the idea that the media verifies stuff they don’t want to hear,” she said. Clark Bell, who directs the McCormick Foundation’s Journalism Program, considers news literacy a basic life skill, akin to health literacy or financial literacy. Health and finance (or math) are taught in every grade, and students are expected to practice continually. More difficult concepts are introduced as children get older, building on what they’ve already learned. First graders can learn to wash their hands before they eat. Eighth graders can grasp the germ theory of disease. Hopefully, with continued instruction, high schoolers will be able to assess the pros and cons of different forms of birth control. Ideally, news literacy should build from simple concepts to more complex ones in a similar way. Stony Brook recently enrolled its 10,000th student in its news-literacy course. Alan Miller’s News Literacy Project (NLP) has worked with more than 16,500 students in its first five years. As of this year, 50 colleges and universities in the United States and Puerto Rico were offering some form of news-literacy coursework based on the Stony Brook model. But even counting the efforts of community groups and libraries, it’s unlikely that more than 100,000 people nationwide have received any formal news-literacy training since Howard Schneider set the movement in motion. There are 50 million students and 3.3 million teachers in the public school system, spread over 99,000 schools in 13,567 school districts. If the goal of the movement is to help create a nation of engaged, media-savvy citizens, the reach of news-literacy programing must expand dramatically. Alan Miller expects his project to grow through its digital units. The NLP, which launched in 2008, began with classroom instruction supplemented by presentations by visiting journalists. In 2012, it launched its first digital unit, which includes five instructional hours and an optional live videoconference with a professional journalist, at a pilot school in Chicago. Last year, nlp’s digital programming was used in 50 schools in New York, Chicago, and Washington, DC, reaching 4,200 students. Miller and his staff are working on an open-access digital unit for high-school and middle-school students. He hopes that an initial version will be available by the end of this year, and a more robust version by the end of 2015. Stony Brook, too, is developing a digital-resource center for teachers. The goal is to make curriculum materials available online, and provide a forum where news-literacy teachers can connect with one another. Until recently, the spread of news-literacy programs has been more organic than strategic, with schools learning about it informally, at conferences, for instance, or through personal connections with news-literacy projects. But the NLP’s Miller is forging better relationships with school districts as a way to more systematically promote his digital content. “We have the districts essentially marketing the units,” he says. The other big expansion hope is that the arrival of the Common Core educational standards, with their focus on analytical skills, will usher news-literacy programming into a more central role in the public-school system. The Common Core standards were released in June 2010 and have since been adopted in 43 states and the District of Columbia. Under the new standards for English Language Arts and Literacy, students are expected to extract arguments, ideas, and details from texts and answer text-based questions. News stories are nonfiction texts and news literacy trains students to read closely and evaluate evidence carefully. A perfect match, right? Perhaps. The very existence of the Common Core has become a politically charged issue in many communities, for reasons ranging from distrust of “big government” to skepticism about whether setting standards will boost achievement. “I would think carefully about whether I wanted to hitch my wagon to the Common Core,” says Spencer’s Diana Hess. She agrees that the Common Core represents a tremendous opportunity for news literacy, but she also worries that publicly linking news literacy and Common Core could be counterproductive in communities where the standards themselves are controversial. Regardless, alignment with the Common Core is just the first step. The Core doesn’t specify what teachers have to teach, so news-literacy proponents still must convince school boards to adopt their programming. Meanwhile, Stony Brook has significantly changed its approach to expanding its program. Initially, says Howard Schneider, they thought the universities would be the key to spreading the gospel of news literacy by training teachers at nearby high schools and colleges. “That has not really worked out the way we wanted,” he said. While news literacy is taught at dozens of universities around the country, none of those programs is as well-funded as Stony Brook’s. It’s hard enough for most universities to find resources to train their own students, let alone sell news literacy to local public schools or do continuing education for teachers. Stony Brook’s new strategy is to first get news-literacy programs adopted at select grade schools, then use the success of these schools to convince more schools to sign on. Starting this fall, Stony Brook will monitor the efficacy of news-literacy instruction at some pilot schools, and use the results to push for comprehensive adoption of news literacy in large school districts. If they could get the entire New York City school system on board, Schneider suggests, it would become a lot easier to convince other districts to get on board. Once news literacy has a solid base of schools using the program, and a solid base of research to support its efficacy, Schneider plans to lobby curriculum committees in districts around the country. It’s an approach that makes a lot of sense, given that the news-literacy movment doesn’t have a huge sales force, like the ones private curriculum companies deploy to hawk their materials district by district. While Schneider, Miller, and the other pioneers have focused on the traditional classroom, a number of smaller news-literacy and related programs have emerged to serve very specific groups in communities around the country. The Voice of San Diego, an investigative local news site, launched its news-literacy program last spring. The goal, says program manager Bianca Bruno, is to increase civic engagement among teens and adults in Chula Vista, a predominantly Hispanic community south of San Diego that is speckled with low-income neighborhoods. Bruno describes the community as a “news desert” that is largely ignored by the news outlets that serve the region. In Chula Vista, the challenge is less about evaluating competing news reports than about finding basic information about local affairs. Bruno started working with community members in March, and the first phase of the program—which involved 15 high-school students and six adults, in separate workshops—was completed in July. The original idea was to start a community news blog, but that was revised when it became clear that a Facebook page was a better way to reach residents, most of whom didn’t even have email accounts. Participants learned how to navigate the city website and read up on local public officials. The first workshop culminated with a public meeting at the local library that included the outgoing mayor of Chula Vista and the new city manager. Participants had a chance to question their elected officials, something none of them had ever done. In August, workshop graduates were given refurbished computers donated by a local nonprofit. A second workshop will focus on the November school-board elections. The stakes are high, since a corruption investigation embroiled four of the five board members—two resigned and two are on this year’s ballot—and the fifth is not seeking re-election. The capstone is slated to be a candidates’ debate organized by workshop participants. Chicago’s Erie Neighborhood House, a community-service nonprofit, illustrates how standard news-literacy resources can be adapted to the needs of different audiences. 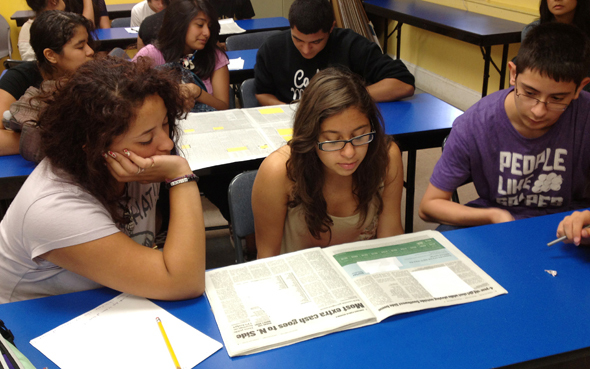 Erie House’s news-literacy effort, launched last year with funding from McCormick’s Why News Matters program, serves teens and adults in poor, predominately Latino neighborhoods in Chicago. Monica Yuquilima, a junior at the University of Illinois at Chicago who used to come to Erie House for tutoring when she was in high school, is one of the four interns hired to help tailor news literacy to Erie House’s bilingual and bicultural population. So, for instance, Monica and her fellow interns teach students to debunk a hoax website that exhorts readers to “Save the Pacific Northwest Tree Octopus,” and devised a board game to get students excited about international press freedom. They also taught adults how to evaluate search-engine results by challenging them to find reliable evidence that stress actually causes gray hair. “A lot of the curriculum was written for old white men by old white men,” says Joshua Fulcher, who runs Erie House’s Youth Options Unlimited. He says the basic ideas of news literacy had to be reframed for a community that is even more distrustful of media than most. Fulcher’s point isn’t lost on Dean Miller, who wants to use news literacy as a tool to increase civic engagement among first- and second-generation Americans. One of the themes of Stony Brook’s News Literacy Summer Institute this year was how to adapt news-literacy programs to communities that rely on Spanish-language and Latino-oriented media. Obviously, some of these niche programs are dealing with very different issues than the high-concept lessons on evidence and sourcing that constitute more mainstream news-literacy efforts. But there are many paths to an informed, engaged citizenry, and it is important to find ways to meet people wherever they are in terms of their level of sophistication on these issues. Just as the news business is in profound transition, so is the demographic and socioeconomic makeup of the country. News-literacy advocates will have to be creative and nimble as they push beyond the incubators where their ideas have been nurtured, and ground-level programs like those at Voice of San Diego and Erie House can help keep the movement connected to audiences it might not otherwise reach. There are critics who say news literacy is trying to run before it can walk. They say, “Come back when you have all the evidence and then we’ll talk about adding it to the curriculum.” But there’s a strong case that news literacy deserves a place in our public schools right now, even before all the evidence is in. Based on the embrace of the Common Core, dozens of states believe the kind of analytical thinking that news literacy is predicated on is worth teaching, whether it creates news literacy or not, because it prepares kids for college—and for life. Health education didn’t have to prove that it was effective in order to earn a place in the classroom; it was self-evident to previous generations of educators that students needed to be exposed to this information in order to function effectively. The core-value propositions that justify putting news literacy in the curriculum are separate from the metrics. It’s as much a question of Why Schools Matter as Why News Matters. And the sooner we get started, the sooner we can start collecting data to improve performance. *Correction: The original article said that Alan Miller’s News Literacy Project was inspired by the program at Stony Brook. Miller says the idea for his project took shape before he had ever heard of the Stony Brook program. Lindsay Beyerstein is a freelance journalist in Brooklyn and the co-host of the Point of Inquiry radio show and podcast This story was published in the September/October 2014 issue of CJR.